Please visit my site at http://www.jenniferhou.com for higher res images and more case studies. 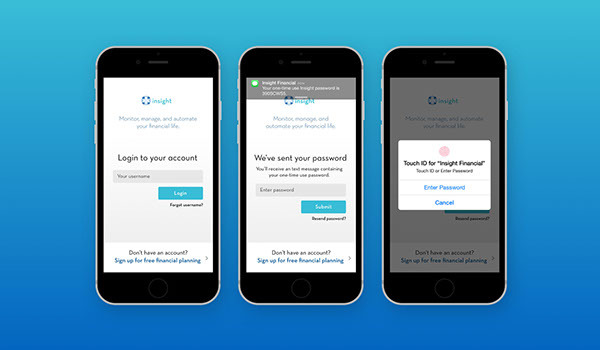 Insight is a mobile app that provides essential tools to monitor, manage, and automate your finances. 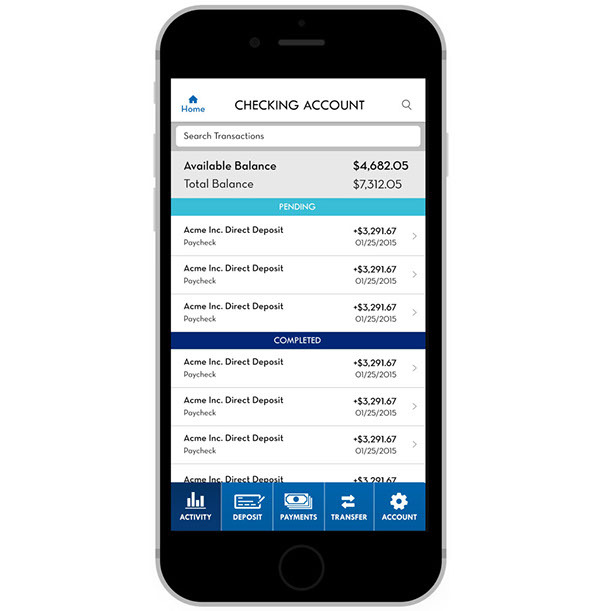 It uniquely combines the robust account management of a banking app with the intuitive budgeting features that you need to stay on track. Monitor: Gain a greater understanding of your spending and saving habits with Insight’s advanced analytics dashboard and budgeting tools that track and categorize every transaction for you. And with balance push notifications and SMS alerts, never worry about overdrawing your accounts again. Manage: Insight is a one-stop shop for full control of your finances. Having administrative access to all your accounts in one place allows you to act on new information swiftly and at your convenience. Automate: Set it and forget it. Let us take care of your recurring bills so you can focus on more important things. Plan ahead and schedule major transactions such as money transfers, saving towards goals, and investment trades weeks in advance. Mobile banking apps offer greater convenience and security to consumers. Nowadays, pretty much every bank has its own mobile app, which account holders can use for free to access their account and perform transactions such as transferring or depositing money. According to the Pew Research Center, 56% of Americans own a smartphone. This presents a great opportunity to provide people with the tools they need to take control of their finances. If so many financial apps exist, why are so few people using them effectively? 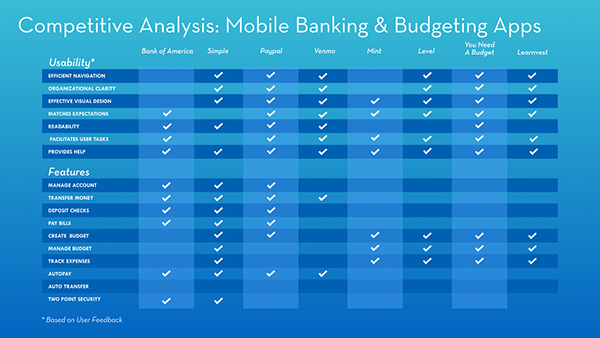 I began my research by performing a competitive analysis of popular banking, investment, and budgeting apps. After learning about the range of apps available, I interviewed users of popular financial apps and browsed reviews of each app to identify user needs and pain points. Traditional banking apps give customers the ability to manage their money, but provide few tools for monitoring or automating their finances. Budgeting apps such as Mint allow users to plan their finances, but not to manage them. Having to use multiple apps to manage accounts is inconvenient. For the most part, everyone I talked to appreciated the convenience of using a banking app, but many of them felt that the apps were lacking in functionality compared to the web experience. One user frequently used the Vanguard app to check his portfolio performance, but never to buy or sell funds, since he couldn’t find an option to schedule or automate a transaction with a price threshold. A reviewer of the Bank of America iOS app complained that she wasn’t able to manage her credit card rewards from the app, even though it was possible on the website. A common complaint across the board was that user flows were too convoluted and difficult to follow. Many apps have robust functions hidden away inside nested menus, making it difficult for users to mentally locate tools and options. I saw this as an opportunity to capitalize on touchscreen gestures to help users navigate more quickly, with minimal thought involved, and to easily memorize the locations of frequently accessed functions with muscle memory. Several people mentioned that they used their apps to check their account balance, but never to conduct financial transactions. This was largely because they questioned the legitimacy and security of the interface. Sometimes this was due to technical problems or fear that unfamiliarity with the app would lead to errors, but usually it was because the app’s interface design did not “appear” trustworthy. I feel like my bank doesn’t care much about the security of my banking info, and accessing it on the phone is either scary or too time consuming. Even though mobile banking might be more secure than online banking, it's more the feeling of it being not secure that bothers me. App-based banking tends to be more secure than browser-based banking since users connect via mobile data instead of Wi-Fi, people don’t tend to share their smartphones, and since phishing and viruses affect desktops more commonly than mobile devices. Most online banking apps and desktop sites use Sitekey, a two-point login system that shows the user a pre-selected photo to verify the identity of the site before entering their password. In recent studies, Sitekey has been shown to be ineffective 75% of the time, as most users failed to notice when the photo was not present. Instead of using Sitekey, Insight sends you a one-time password via SMS to your phone number on record. This system protects you from phishing and password thieves while preventing unauthorized access to your account. If you have already logged in during the same session, you have the option of using Touch ID. Insight’s analytics dashboard allows you to monitor all of your financial transactions from one place within the app. Simply swipe right to switch between each summary. From most screens, you can access your accounts at any time by swiping up on the accounts drawer. Select the account you would like to manage, and you’ll see your account activity with options to monitor, manage, and automate your transactions for that particular account. Once you’re done, tap the home button to return to the dashboard. 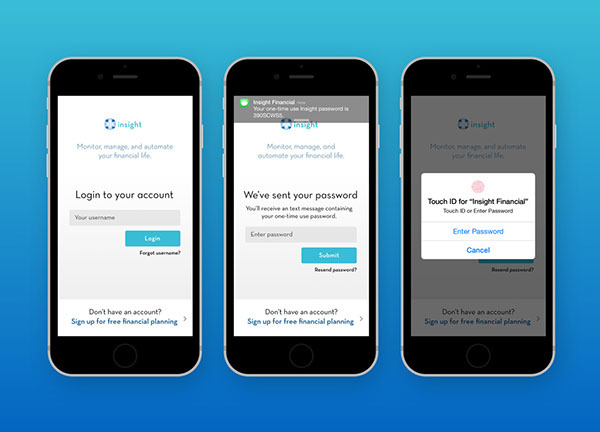 Insight’s checking accounts combine traditional online banking with new features that make it easier than ever to access your money. • Deposit checks with your phone camera. • Emergency withdrawal sends a one-time code within the app if you need to withdraw money from an ATM without your debit card. • Print cashier’s checks directly from the app. 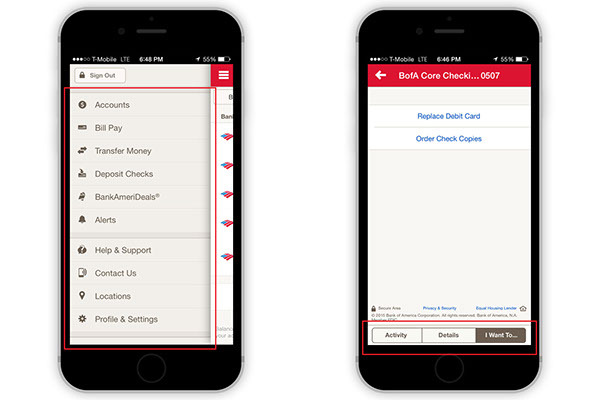 • Enable app alerts for spending and balance limits. • Quickly transfer money between accounts or to other people. • Place a temporary freeze on your account if you see suspicious activity. • Order new checks and debit cards. 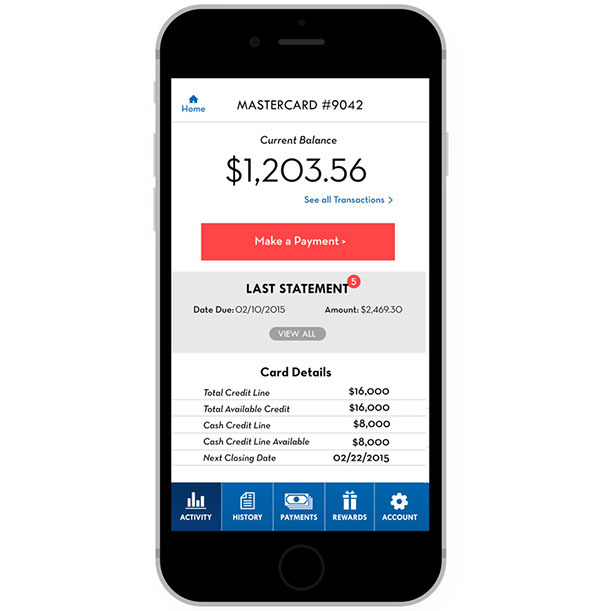 Insight’s credit card accounts give you control by displaying real-time transaction and balance information, allowing you to track your spending and make convenient payments from your mobile device. • Easily view all account information and download past statements. • Pay your bill and set up Autopay. • Redeem rewards directly from the app. • Report a stolen debit card or fraudulent activity. • Order a new card. Insight’s investment accounts help you learn and improve your performance with real-time updates, scheduled transactions, powerful research and analytics tools. 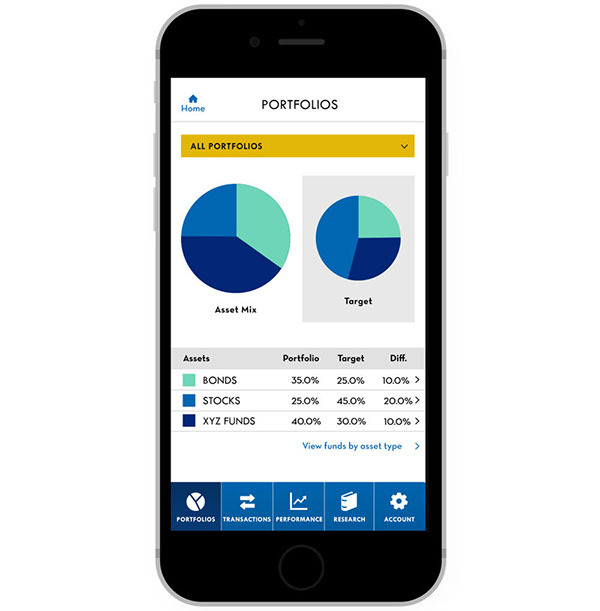 • Detailed breakdown of portfolios with analysis of investment types and individual funds/fund composition. • Schedule transactions to buy or sell at a set price threshold. • Receive investment recommendations and tips based on your desired rate of return and level of risk. • Access breaking news and reports to help you research potential investments. 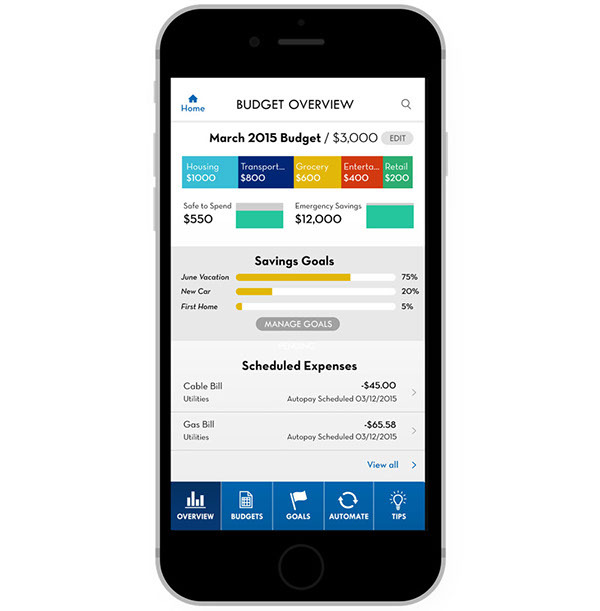 Insight’s smart budgeting features make money management painless and efficient. • Budget dashboard displays your current budget, how much money you can spend, savings information, your goals, and upcoming expenses. • Smart budget bases your monthly budget on last month’s income and expenses so you have a realistic, not idealistic, budget. • Create savings goals and automatically allocate a portion of your income to meet your goals every month. • Schedule and automate your expenses so that they’re always included in your budget. • Enable app notifications when you approach spending limits or exceed your budget. • Receive helpful tips and spending analysis to help you save more and spend less. After conducting competitive research and interviewing users, I created a features list around three types of functions: Monitor (track and analyze transactions), Manage (manually perform account transactions and change account settings), and Automate (set up scheduled payments and transfers). In the site architecture, these features are distributed between three distinct areas of governance: the Analytics Dashboard, Financial Accounts, and Budgets. While researching other financial apps, I started a list of intuitive and useful features for Insight. I found that most of the features fit into one of three categories: Monitor, Manage, or Automate. After sketching out a few possible versions of the application architecture, I decided to organize the app around a main dashboard that provides a bird's eye view of the user's finances. Swiping left and right in the dashboard surfaces deeper-level analysis, while swiping up opens a persistent drawer which houses banking, credit, and investment accounts. Budgets can be accessed under "Recent Activity" (home screen) in the dashboard. Once users are in Accounts or Budgets, they can tap the home icon to return to the dashboard. 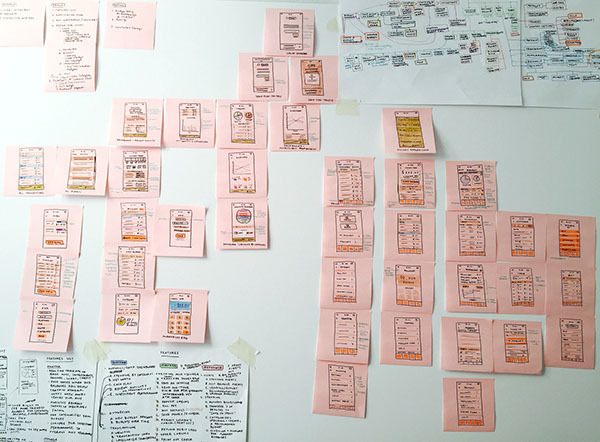 Next, I created a rapid prototype of the overall structure using wireframe sketches of each screen arranged into user flows for Dashboard, Accounts, and Budgeting. After developing the overall structure of the app, I started to design individual screens and flows. The idea for this independent project grew from my interest in personal finance apps. 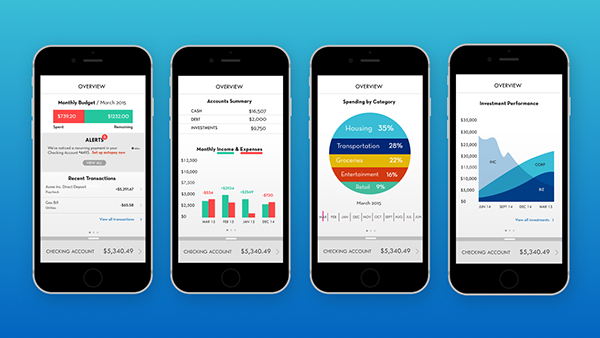 Despite the logistical challenges of accessing multiple financial accounts from one app, I wanted to design a powerful tool that gives users a complete understanding of their financial health. 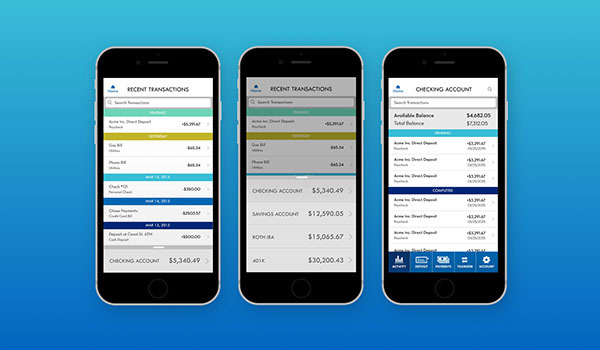 In the future, I see a great opportunity for financial institutions to offer budgeting and analysis features along with mobile banking to attract customers. User feedback to early screens and prototypes has been mostly positive, although some have mentioned touch target sizes seem small. I'm excited to build out the Smart Budgeting portion of the app, as well as develop flows for Emergency ATM Withdrawal and Automatic Payments. 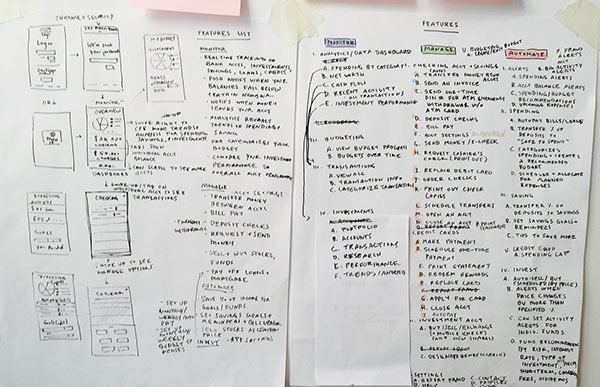 Moving forward, I plan to build an interactive prototype of Insight and conduct more user testing in order to improve on the existing model. 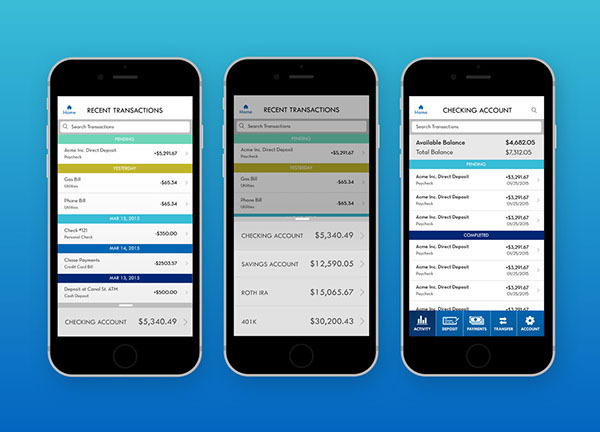 I designed an app for better mobile banking.